Anonymous Sai Devotee from India says: Om Sairam to all. Hi Hetalji, please don't disclose my name and email id. 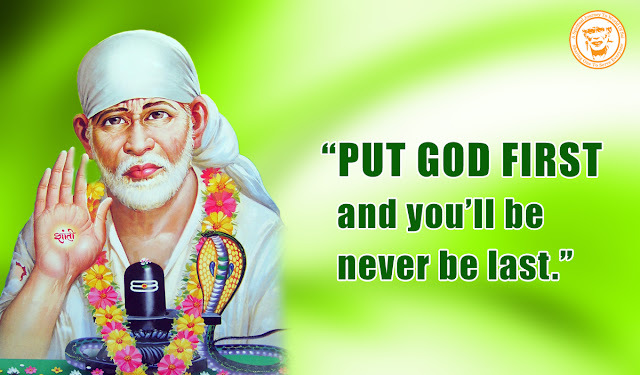 I am a devotee of Sai from India and this is my first post on your blog. Sai Baba is my everything. I can't share all His powerful miracles but I am going to share how He was guiding me and my family each day. I was doing my B.E computer science but due to some health issues I can't attend college regularly as I have undergone an operation on my nose and I have severe breathing problems. This happened in my third year. As my institution is very much strict in attendance, I didn't have proper attendance to write the semester and my parents were very much worried about my studies. At that time I didn't have knowledge about our Sai Baba. I was so much depressed and worried about my studies and health. I didn't know about Sai. But in my home there was a picture of Sai which was brought by my elder sister without knowing about Sai. At that time my mom encouraged me to apply for a degree in correspondence. I was very sad but there was no way. I accepted and went. Few months later my health was little bit improved. One fine Thursday my sister and her husband planned and were getting ready to Baba's temple which was in our hometown. They were newly married and they called me too to accompany with them. All of us went to the temple. This was the first time I visited and had darshan of Sai. I had visited so many temples but Sai Baba's temple was very much close to my heart. I got Prasad and Udi and gave it to my parents. After visiting Sai, my mind was set pure and stress free. That day onwards I used to visit Sai Baba's temple at least once in a month. I used to light a lamp before Sai everyday. After one year my sister conceived. And everyone of my family was happy. On 6th month of pregnancy we went for check-up for my sister. That day a big atom bomb was fired our happiness. Doctor looked up the reports and she said that the baby was in critical condition that the water level was low. We were broken up and we didn't know anything except Sai. We prayed to Sai everyday and doctor advised her to add trips for my sister for four months to increase water content for baby. For four months we went into a tough phase. Finally the day came and we planned to admit her for the delivery. Before going to hospital we visited Sai Mandir and got blessings of Sai that He should bless us with a healthy baby through normal delivery. My sister got admitted but doctor said that there was a minimum chance for normal delivery. I was praying to Sai continuously to bless my sister through normal delivery. On next day morning doctor fixed time for operation. Me and my dad went outside to finish our dinner. I was chanting Baba's name without gap, after sometime we reached hospital. That time Sai really showed His miracle. My sister was at Labour ward. As the pain came and the baby was born through normal delivery. Our total family were overwhelmed with joy and happiness. Sai is guiding me every day. Now I have no health issues. I have completed a degree and now I am pursuing a PG degree through Baba's grace. We named our sister's baby as Krish Sai Ram. He is now one year old. I used to pray to Sai everyday, He listened to me and even my baby also prays to Baba. For past three days my baby was suffering from fever, I was very much worried. I asked Baba to recover him from fever that I would share my experience. Please Baba help my baby as he is the happiness for our whole family. And also please solve my marriage issues Sai Baba. Thanks everyone for reading such a lengthy experience. Ananthakodi Brahmanda Nayak Rajadhiraj Yogiraj Parabrahma Shrimp Sachithanandha Satguru Shrimp Sainath Maharaja Ki Jai. Om Sairam. Anonymous Sai Devotee from India says: First of all, thank you Hetalji for maintaining such a wonderful site. It gives us a lot of joy going through the site and brings a lot of strength and hope. I visit this site regularly. Whenever chips are down and I lose focus, this site reminds me that there is someone sitting up in the heaven looking after me. I have started praying to Baba only for 2 years now. Before that, I was not even aware of Him. However, time and again He helped me out of so many difficult situations. Today, I will be only sharing only a recent experience, which is nothing less than a miracle. I was travelling to Europe through Abu Dhabi in a day's notice. Though I have frequently travelled to US from India, but this was the first time I was travelling through the Middle East. I was worried a lot since I had to catch a connecting flight, from a different terminal, which would depart in a little over one hour from the time of landing of the first flight. If I take into account, 15 minutes to de-board a plane and another 15 minutes to board the next flight, it just gave me 30 minutes of time to navigate between the terminals and cross a security checking. In addition to this, it was a unknown airport to me. 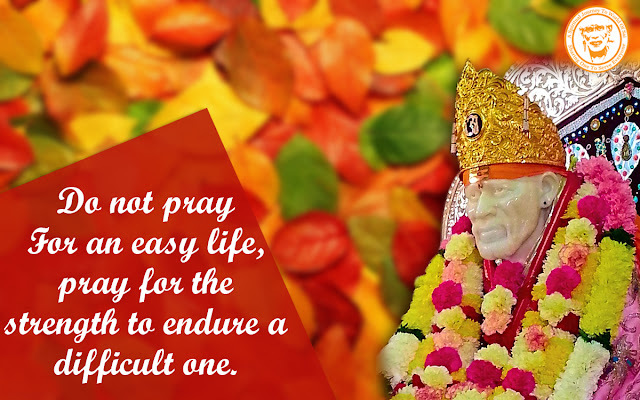 I had been continuously praying to Baba, throughout the day, to ensure that I did not miss the connecting flight. As a strategy, I asked for an aisle seat towards the front of the aircraft rather than my favourite window seat, so that I could quickly collect my luggage and dash for the connecting flight. I went very early to the airport to ensure that I could get the seat of my choice. Unfortunately, Baba had other plans. I could only get a window seat towards the front of the aircraft. The aisle seats were way back. I am a very frequent flier in the domestic circuit. Never have I witnessed aisle seat being filled up before middle and aisle seat. Not only was I offered a window seat towards the front of the aircraft, but also it was a window seat in the first row after Business Class. (But this I realised only after getting into the aircraft.) The first row has a lot more legroom and you do not have to wait for passengers on middle seat and aisle seat to move out before you make yours. When I boarded the aircraft, I saw that all the overhead bins have been taken and I had no choice but to sit with my luggage in between my legs. Usually I would hate this scenario, as the journey is uncomfortable with a huge bag resting on my legs at all times. But I thanked Baba since I thought Baba has given me an opportunity to dash ahead of other since I did not have to wait to open the overhead bins. Baba still had a masterstroke stored for me. After completing the boarding process, the airhostess came up to me to ask whether it would be fine if she placed my luggage in the business class overhead bin. I accepted the offer. Upon landing, I moved into the business class to get my luggage. There was no aerobridge but buses to take us to the airport gate. I was escorted out of the plane along with the business class passengers to a bus. Since the bus was meant only for business class passengers, I was the last one to get into the bus and it immediately started for gate. Just imagine, even though I was travelling economy class, Baba had made me board the first bus (even though it was meant for Business Class) so that I don't miss my connecting flight. Once I reached my final destination, I was a bit worried about my luggage - whether it made it since the stop over time was so limited at Abu Dhabi. But no issues can happen when Baba is watching over you - it came out in the conveyor belt only after five or six other luggages. Never have I collected my luggage so early. It goes to show that Baba is everywhere and there is no need to worry when He is looking after you. Pray to Baba and He will look after you. Anonymous Sai Devotee from Malaysia says: I am a devotee of Shri Sai from Malaysia. First of all, thank you Hetalji for giving me this golden opportunity and you are doing a great job by giving everyone a chance to share their experiences with Sai Ram. I am a devotee of Sainath since 2010. Baba is with me always in one form or other and always guiding me throughout this journey of life. He always be in my happiness and sadness. I want to narrate my experience about Sai Satcharitra and 9 weeks Nav Guruvar vrat. I am very sorry for posting the miracles late. In these few years I have been blessed with many miracles. Here I want to share the biggest miracle which happened in October 2015. I always pray to Baba that I want to visit His sannathi (Shirdi) with my life partner once I get married. But Baba did a biggest miracle in my life by inviting me to Shirdi within two weeks. In September 2015 I had gone through hardest time. I got to know one guy in Shirdi Baba’s temple in 2014. Both families were very interested but this guy was really not ready for getting married and also scared to give commitment. After one year my family asked the final answer from the guy in September 2015. But his answer was no and not prepared for the commitment. That was where I felt so desperate with his answer and started to read Sai Satcharitra within one week. Here where I really feel Baba always exist in our happiness and sadness. I have just realized that His grace is infinite and cannot be expressed in words! We can experience His grace and love for us only through our sincere devotion and prayers! He wants only our faith and patience in return. At the end of September my mom was really sad to see my situation and decided to send me to Shirdi with my friend. Then both of us searched air tickets to Mumbai. The ticket price was very expensive and both of us felt tired. So again we prayed to Baba to give the cheapest ticket price. A miracle happened where we found the cheapest air ticket and to fly within two weeks. We felt that we didn't have much time and also cannot miss the opportunity and we booked the ticket on Thursday which was a Sai day. After two days, we again checked the ticket price for the same day and time we booked. Dear devotees you know what, real miracle happened here where the price really gone up around 200 MYR one way. With Baba’s grace we went to Shirdi and had good darshan and also a great blessing. There the pain was gone and now there is no Pain. Now every moment of my life is under Sai Paa’s feet. I request my Sai Baba to bless everyone to be happy. Have faith and patience (Shraddha and Saburi) to Sainath. Thank You Sai Paa for always listening to me. Please Baba help us to think good and do good and always take Your Name. 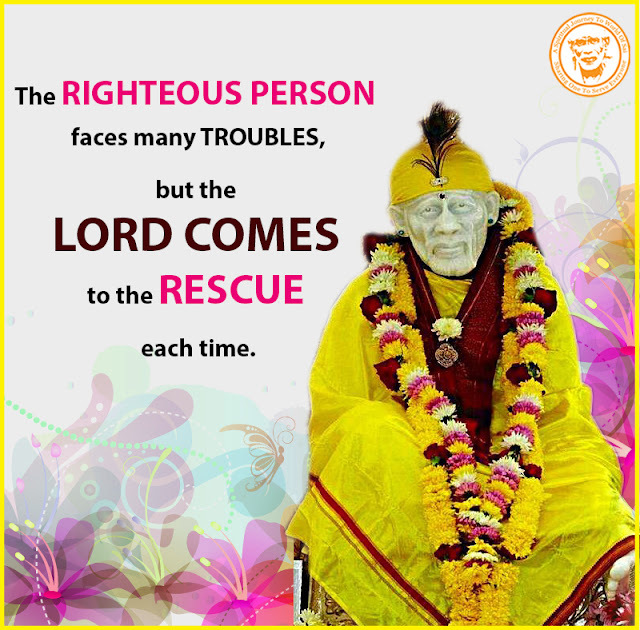 Om Shirdi Vasaya Vidmahe Sacchidanandaya Dhimahi ThannoSai Prachodayath. Om Sai Jai Jai Shri Sai. Sai Devotee Monica from India says: Myself Monica from India I stay at home with my family. Thank You Sai Baba for blessing me and thanks to all the members of this beautiful site. One night around 3:00 a.m I woke up from sleep as suddenly I was not feeling well, my stomach was aching and I was feeling like I will vomit out. I was afraid and did not know what happened to me. Without thinking I just stood up and took some Udi and put it in my mouth praying Baba that I should get well. After taking Udi I sat on my bed and was feeling little better and in some time I slept again. While sleeping I got a dream that I am searching for a hospital for medicine while searching I saw a dog who was showing me the way to hospital. I entered in that hospital and started searching for medicine but what was that I saw at my right hand side it was my Baba's darbar. I could only see the darbar from that side and many people were standing there. I was going close to them to see what are they doing they were giving prasad to the devotees when I reached there they gave me prasad and when I saw upward I saw Babaji’s idol sitting in Shirdi. It was a beautiful darshan of Sai Baba. Babaji had not allowed me to take medicines; He called me near Him and gave me prasad and His blessings. And when I got up in the morning I was feeling so fresh as if nothing had happened. Love You Baba. I have written a poem for You which I am sharing here. Sai Sai Japta Ja Sai Name Anmol, Sai Se Pyar Karta Ja, Sai Name Anmol, Sai Ka pyar aisa Maa k Jaise Woh Pyar Karte Pita K Jaise Dular Karte Bhai K Jaise Woh Raksha Karte Dost K Jaise Sath Muskurate Guru K Jaise Sahi Raha Dekhate Sai Sai Japta Ja Sai Se Pyar Karta Ja... Om Sai Ram ...love You Baba! Anonymous Sai Devotee from India says: I am Sai devotee, what I am because of my Sai Baba, Sai Maa, Sai Guru, Sai Bhagawan, Sai is all to me. I just want to say Baba sorry for my rude behaviour to Iura. You already punished me for my mistake. As I give Iura to physical pain and the next day morning my Sai Baba returned me physical pain. And he taught me that now it’s enough to do wrong with Iura. I am sorry Baba. Please forgive me. And You know very well why it’s happened. Hopefully I will not do the same mistake again with my Iura. Baba bless us always and save Iura always. Help Iura for job contract. As you always help Iura. This time also do the same. Forgive Iura for all the mistake Iura did. I want to come Shirdi for your darshan Baba with Iura. Bless us and fulfil my dreams. Thank You Baba. Om Sairam, Om Sai Nathaya Namah, Sai Baba Ki Jay. I am really very sorry for my rude behaviour with Iura. Please Forgive Me. Anonymous Sai Devotee from India says: Aum Sai Ram, I am one among the sparrow tied under His holy feet. Dear Sai Brothers and Sisters, Sorry for the delay in posting Baba. Recently I had pain in my chest and it continued for more than 3 days, I prayed Baba that it must be normal or any gas problem and applied Udi. Pain subsided in two days. Thanks a lot. Udi is the medicine which is offered to us by Baba Himself. Another experience is my father has very high BP and I prayed to Baba that he must be normal and BP level must come down gradually to normal. His BP level was normal when we checked in one day of time. Baba You really know what I am going through in this phase. Please bless me with good husband and with Your grace my marriage must happen. Please fulfil all Your devotee’s wishes for their highest good. Aum Sai Ram. I was applying for an online US Visa for one of my Director. I made all the process with the guidance of Baba but our Director was doubting & she said that she needs to send her passport to the Embassy as it is Renewal. As per the website it was mentioned to do the whole process. But she was not in a mood to listen. Finally today was the interview slot for her. I was praying to Baba that please be with her and help me to overcome this situation/ stress as she might feel bad if things were not in place. Finally by the grace of Baba being with her, she submitted the documents & she thanked me. I thanked Baba from the Bottom of my heart. Whatever the situation may be ; Baba is always there to protect & take care of his children. I love you to the core Baba, please always bless me to be under your lotus feet & do take care of my daughter & her studies along with all my family members & also all those who are in need of you. Only you are there for me Baba. Love you. Om Shri Satchidananda Parabrahma Purushothama Paramathma Shri Satchidananda Sathguru Sai Nath Maharaj Ki Jai. 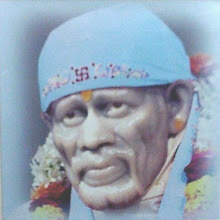 Sai Ram Hetal ji. Regarding Mahaparayan i have registered already and i got a mail regarding that stating "We have received your response for Clone of 108 MahaParayan Devotee/Volunteer Registration Form" should i register again in "www.mahaparayan.com" ?? Today my dell desktop windows 10 is not starting up (struck before giving login screen), I tried by switching on and off many times, but it didn't. I prayed to Baba, removed power cable and again put and then switched on. It worked fine and able to login. Thanks a lot Baba for resolving the issue. Sai why you are doing this to me? Everytime you said your wish will be fulfilled but still now nothing worked.you only told within 8 days work will be completed but not.you too fooled me by your words.every time you are doing this. Am fed up.I trusted you but you lefted in midway.I give up. Dear child of Saibaba, don't worry. Your husbands attitude would change in the coming days. Babas blessings are entirely there to guide and protect you... Your father (Shri Sai Baba) is always alive and beyond birth and death, why fear child...!!! Om Sai Ram, Please baba be with my family bless them baba, Love you baba please forgive my mistakes. May Allah blesses you all! It is really a vain attempt to explaining about Sai Babas Leela. Baba is the form of supreme Lord. His miracles are numerous. After starting to understand Babas words, the purpose of human birth clearly came to my vision. In every step of the path, Baba guiding me to reach the highest goal of life. As a Satguru, he is always taking measures to improve the spiritual stature of his disciples. Family, money, health, knowledge and all the other things are given to devotees to bring them in to the path of spirituality. We should not get diverted with the belongings given to us by God's grace. May our Satguru Shree Saibaba blesses you all to attain oneness with him!!! !